Consolidating years of technical debt with Drupal 7. The New York University Robert F. Wagner Graduate School of Public Service (NYU Wagner, Wagner) is a public policy school that offers a comprehensive curriculum in public and nonprofit policy and management. In 2013, I was hired to migrate the site from an existing custom PHP CMS to Drupal 7. In 2014, I was re-hired to expand on the Drupal 7 build, including implimenting a re-designed home page to reflect NYU's new branding. 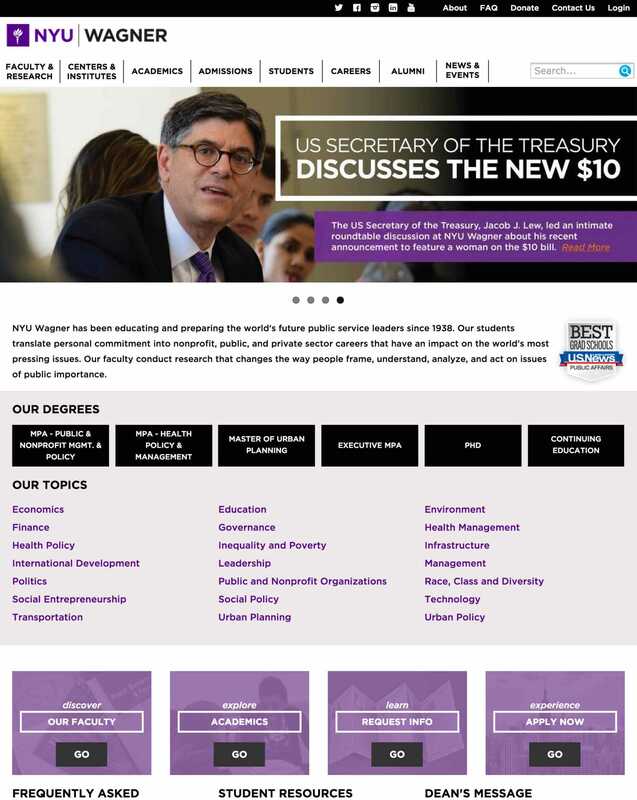 Implemented a re-designed home page to reflect New York University's new branding.